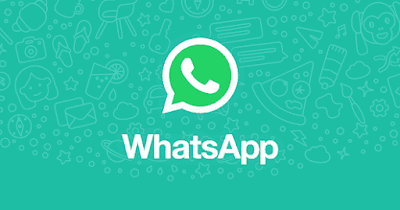 Since whatsapp introduced the feature, delete for everyone and delete for me, which you can delete a message in a chat, maybe due to an error or mistyped text, immediately the message us deleted you cannot see it anymore and sometimes you will wonder what did this person delete? In this post, i will be showing you the two ways to do this. 2. 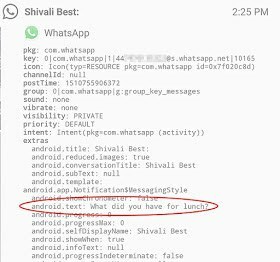 Search for the message in the Android notification log. 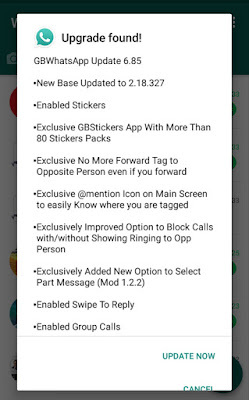 Make sure notifications for the app is allowed, the notification log app will show chat history based on the time the message enters, so on the app kindly look at the time the message came in to locate it, and you will see the message there. You will only be able to view the first 100 characters of deleted messages, and the notification log will clear every few hours, or any time the device is restarted. I prefer you use the second method over the first. Long ago, comparing the internet to what it is now, you will find out absolutely that a lot of things have changed; there has been a lot of improvement in technology, and that alone has made our lives easier. Hardly before you find someone who isn’t on any social media. Despite these advancements, there are thing you mustn't do online, must of us are guilty yhis things and its very important we stop doing them. Synchronizing Facebook, Instagram, twitter, in such a way that when you make an update on Facebook it automatically sends it to other social network isn’t right at all. It sounds great in theory, but it is awful in real life. What you need to understand is that every social network is different. What works on Facebook, doesn’t work on Twitter, Linkedin or Instagram. I agree that not many people can remember all of their passwords. So they find one good, strong password that they use for absolutely everything. It is absolutely wrong to use the same password for your Facebook, Instagram, Twitter, email etc. You need to have more than one password. In fact, you need at least three to five different passwords that you use for different internet accounts. Also for weak passwords, o you know that a lot of us use easy to guess password? How can you use 123456 as your password or 7654321… This can make any dummy easily guess your password and hack into your account. Even using your date of birth as password is not correct. A good password should comprises of Letters, numbers symbols etc. e.g M4_09!... Let your password be strong enough that no demon on earth will be able to guess it. Being careless with your login details is totally bad, it is called login details because it is exclusive to you, it belongs to you and nobody else, not even your wife or your boyfriend should have access to your login details. That way, your information's are secured when it is exclusively known to you alone. Another way of being careless with your login details is storing your login details on public computers or personal computers; Some of us still make use of the Café and even store our login details on the used browser which is absolutely not right. Even storing your login details on your own personal computer is not right because somehow, someday someone might have access to it. I have stopped this long ago and ensure that every email that has ever been published on this blog was deleted. 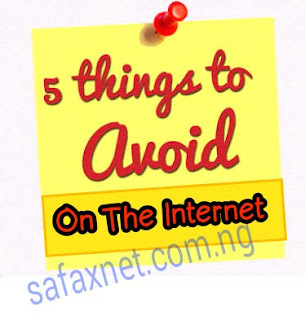 Never leave your email address on any blog post, Facebook or any platform that exposes it to the public, it is not safe, also in revealing your phone number online, a lot of people are guilty of this, post their phone numbers on Facebook, so that anyone can just check on you, PM you or WhatsApp you. Be smart about it and be wise about it. Criminals love clickable links in emails. They absolutely love them. Yes, they are a good idea in theory. But sometimes, theory and real life do not work in the same way. Clicking on a link in your email might take you to a website with malicious software, if possible do not download any attachment you don’t know anything in your email, they can use it to hack into your account. In conclusion, its important you keep your privacy private online, before the public will make your privacy public. 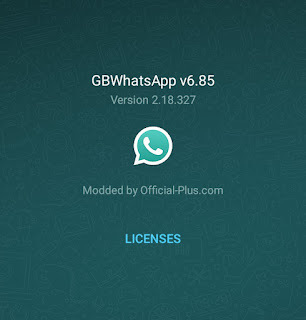 In this post is a link to download the latest update of Gbwhatsapp... The new version 6.85 has been rolled out and here i will be showing you the new features added to this new update plus how to go about its installation. 1. Firstly, you must have the app, download link is above. Another settings has rolled out on HTTP injector which works effectively to power all apps using the mtn mPulse data, now about the data, you can get 1.2GB for #150 which is valid for a month and 350MB for #50 valid for a week, very cool. But as we all know this app can only be used for the mPulse website and also some Google app and Google pages, but does not work or power all apps. 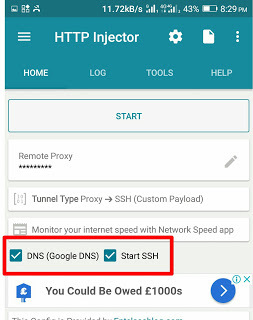 In this post i will be sharing the latest settings that works perfectly on HTTP injector to power all apps, all you need do is follow the steps and you're good to go. 2. Download HTTP injector Here if you do not have it installed. Make sure you're on MTN mPulse tariff plan by dialing *344*1#. 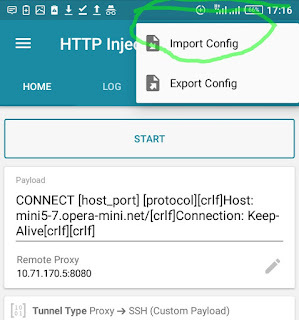 Now after all the above config and apk file are downloaded and installed then the only thing remain for you is to import the ehi config file on Http injector. How Do I Import the MTN EHI config File? Yeah we got your back by following the steps we illustrated below. 1. Launch your Http injector apk, then at the menu, look for (the paper icon) then click on as illustrated in the screenshot below. 2. Click import and now, look for the ehi config you downloaded above, select and import it. 3. If the config was successfully imported, you can then click start to connect the app. Wait for some seconds for it to establish the connection then you're good to go. open the injector app, hit start... then open chrome browser (visit gmail.com) or YouTube app. 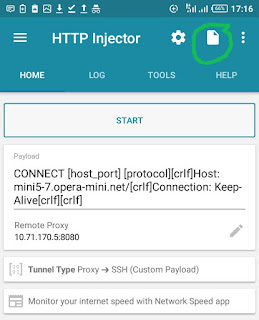 The HTTP injector should connect. Kindly note: if your phone is rooted, please unroot it first to use this settings. This year sincerely has been a time for MTN especially this month, from good to bad news and then good news and even better news, all we ask is for even the news to get better and better, especially for free browsing. 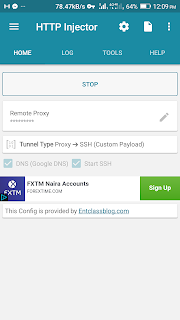 Im this post i will be sharing you the latest MTN free browsing cheat settings which works perfectly using the HTTP injector app on your android device. Remember the MTN cheat which is capped at 10mb for some sims? yes this is it, if you did enjoy no capped data then, you are good to go this time out. If yours is still capped kindly get another MTN sim card, to enjoy this groove. Wait for some sec for it to establish the connection then you're good to go. Well even as bad MTN has been in recent times, especially after reducing their Night plan data volume by 70%, they are still giving out free data to their customers. This is actually not new, some MTN users have gotten 100MB initially when they installed the app, but now MTN has decided to increase the data to 500MB. All you need to do to get this free 500MB on your MTN line is by downloading their app (MyMTN app), which i will be sharing the link below. Register with your MTN number after successful installation and that's all. One thing you should know is that the free 500MB given is valid for 24hrs. Finally, Airtel cheat has been cracked some way and am happy to announce to you that this cheat will browse unlimitedly. This is the latest Airtel cheat for 2018 and it works perfectly on only Operamini handler for Android phones. So this means to use this cheat, you must have the operamini handler installed on your device, i will be sharing the app below. Sadly this cheat doesn't power all apps at the moment, but you can enjoy it to browse and download using the operamini handler app for now, hopefully something better comes out for this in days/weeks to come. Showing you how to get this latest Airtel cheat for 2018 setup, follow my steps below. Infinix Mobility has again unveiled another smartphone, they said this is the biggest notch screen in Africa with AI Selfie camera. 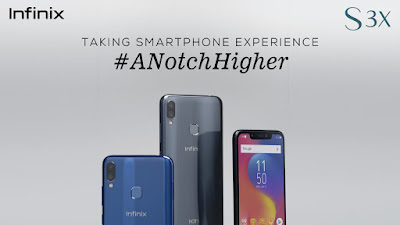 The Infinix Hot S3X is the first smartphone ever coming from Infinix which features the trending Notch display which gives the Hot S3X an elaborate and breathtaking style in addition to its elegant design. It goes further in exquisite style of expression with a screen size of 6.2 inches and display in 1500x 720 pixels. Smartphone lovers are gradually becoming bored with the traditional flat display of their smartphones hence this notch display in the Hot S3X is the solution to their boredom. 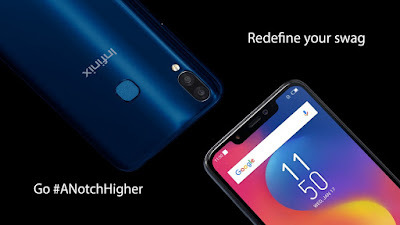 The Infinix Hot S3X comes loaded with a big screen size of 6.2 inches, HD Plus Resolution of 1500 x 720 pixels and an impressive 87% screen to body ratio giving you a bigger view area.. Like I said before, it comes with a Notch display which is the latest trend of the smartphone industry all over the world. The Hot S3x is not only fabulous in style but speed, it features a Qualcomm Snapdragon chipset which ensures you get the best of speed without any lags in addition to a RAM of 3GB/4GB and large internal memory of 32GB which can be expanded of course. You get the liberty to expand storage space at any time via a micro SDcard. The teaser images leaked on the official Twitter page of Infinix shows that the Hot S3X is going to feature a dual 16MP rear camera with soft LED flash, giving you more detail and light in every picture. That’s not all, the S3X also comes in Selfie Bokeh effect which stands out you with beautiful Bokeh shots. The front selfie camera is most likely going to be a 5MP shooter. The all new Infinix Hot S 3X gives you all the power you can get with a massive battery which gets you in the groove. With a battery capacity of 4000mAh, it means you have enough juice to stay on for many hours non-stop up-time after complete charge alongside a fast charge support. Your guess is as good as mine, it’s coming with a dual sim which supports 4G LTE. This will allow you to experience high speed internet browsing and downloads. 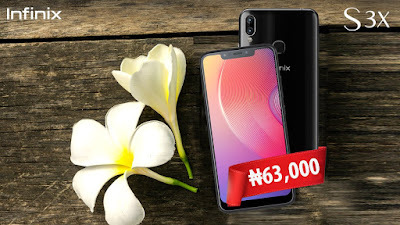 Infinix Hot S3X is currently available now for sale, you can check on all Infinix mobile phone stores, Slot outlets, GearBest, Jumia, Konga and Amazon stores. Double data has been on a low-key for a while now after Airtel stopped their double data offer and introduced the Smart connect offer (small money, big data). Even MTN Nigeria too long time ago stopped their double data, to even do it you need some rooting methods and processess which may not guarantee it. The sad thing now is MTN slashing their Night plan data volume and increasing price of data, which may make most current mtn data users/subscribers defect out of the network. Happily Glo has recently introduced the Glo Oga Sim. 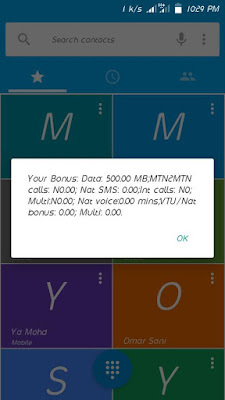 It is a new data bonus that offers subscribers double data bonus over the standard data package on their subscriptions. For example, if you subscribe for 7.2 GB at the rate of N2500, you’ll get extra 7.2GB oga sim data bonus and that is 14.4 GB in total. For regular N1000 monthly data subscription, you will get 3.5 GB, as against the normal 1.6GB and 2GB of data for existing, new and renewal customers. Which is applicable to all other data plans. 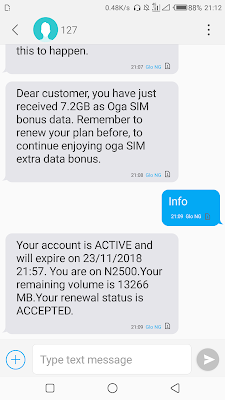 How To Get Glo Oga SIM, Double Data Offer? 1. 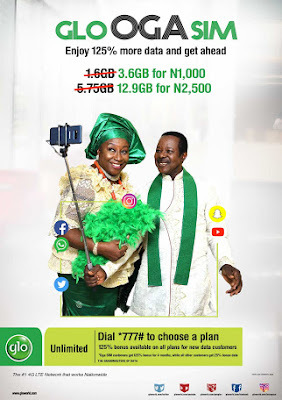 Ensure your Glo sim is 4G(absolutely necessary) enabled or go to the nearest Glo outlet to upgrade your 3G SIM to 4G. 2. Then renew the plan before your current plans expire. MTN Nigeria is officially set to increase SMEsdata price and as well cut down the amount of data given for their night plan. 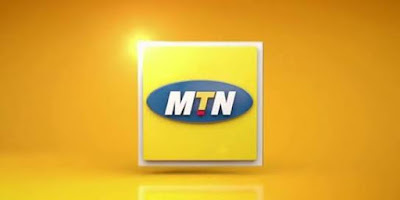 So, from 21st of August 2018, the new prices would take effect, and this would really kick some resellers out of the business while some will drastically increase their data prices which at the same time will leave customers with options to either buy directly from MTN or go with the new price. Similarly is another sad news for MTN data users, with this new update, MTN Night Data Volume becomes 125MB for N25, 250MB for N50. Y'ello! when you buy the Pulse Night plan at N25 from 16/08/2018, you now get 125MB. You also get 250MB for N50 and can make multiple purchases. Dial *406# to buy. The activation method hasn't changed. The same method you use previously, is also the same method used for the activation. On the offchance you don't know the activation code, kindly migrate to MTN Pulse Tariff by dialing *406#. After that, sms NIGHT to 131 to activate MTN night data plan.